Two years ago, I walked into Lone Wolf for the first time. Taking the reins of a 26-year-old company, one that was already on the short list of the most successful technology companies in the real estate industry, was a phenomenal opportunity. Though I was new to real estate, I understood software and thought that was enough. Lone Wolf had to forge a new path forward. We were facing challenges on three fronts: a growing customer-base, an expanding employee population, and an industry in the throes of technological renaissance. With these challenges all around us, we couldn’t do everything we wanted to do—namely, foster client success and innovate new product features—with the structure we had in place. For 25 years we were run like a small company (where success is reliant on a select few and failures are overcome with elbow grease). But in order to conquer the challenges outlined above, we needed to transform from a small company to an industry-leading technology company. And this change wouldn’t be possible without the right people on board. So I brought in a new executive team, people with tremendous experience in the technology world and experts in their respective fields of Marketing, Sales, Product, Development and HR. 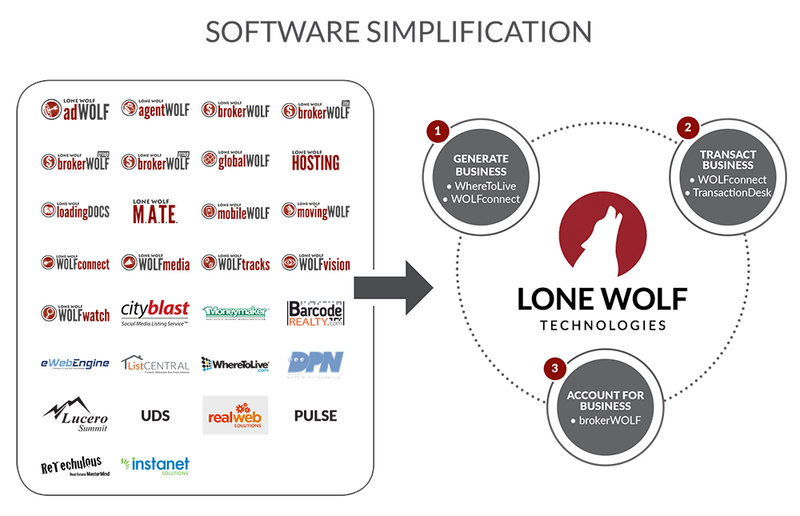 Combined with my own experience in the software industry, I knew we could take Lone Wolf’s strong foundation and transform it into a customer-focused, data driven organization. Well, let me tell you: Change is tough. It takes time. It means making difficult decisions, some of which can be disheartening or uncomfortable. But from this discomfort we developed a team that was stronger than ever. A team that was both experienced and innovative; reliable and energized. A team that was focused on the path ahead. We opened a new office in Dallas. We refreshed our brand. We rebuilt our product infrastructure. We created new divisions, shut some down, recognized weaknesses, filled in the gaps. We took away all the noise, simplified our product offering and focused on the fundamentals of a well-run technology company. One of our beliefs at Lone Wolf is to ‘think big, start small’. I did the thinking part when I took over as CEO and we put our vision into focus. But the journey since has been all about the small stuff. We’ve made incremental improvements to key facets of the company and these improvements have accumulated to affect wholesale organizational change. Because of this change, we’ve been able to conquer many challenges of the past while also laying the foundation we need for the future. Though many of these improvements are too mundane to make headlines, several have had a significant impact on our clients. For example, we launched an online community to help our clients with support and now their challenges are resolved faster than ever; we created an ideas portal for our flagship product—a best-in-class product in over 10,000 offices—and now our clients brainstorm enhancements to make it even better; and finally, our new center of excellence in Dallas has helped us expand our brand in the US. All of these changes strengthened our company from the inside out, an aspect which put us in position to acquire Instanet Solutions—a leading provider of transaction management software for the real estate industry—with full confidence. I can’t overstate the importance of this acquisition. With a fully integrated transaction management-to-back office solution, our clients will be able to manage their deals online from offer to close. 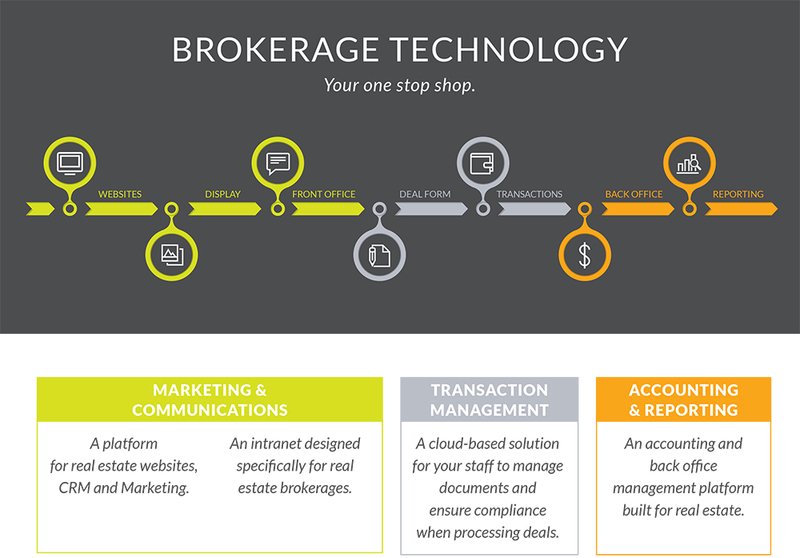 And now, our goal of providing brokerages with an industry-first end-to-end solution—one that encompasses everything from lead-to-close—is within sight. We’ve long dreamt of a product that provides brokerages with an integrated suite of marketing & communications, transaction management, and accounting & reporting software; a single technology solution to simplify burdensome tasks, reduce operational costs and enable Broker/Owners to directly increase their revenue. But we’ve never been able to make that dream a reality. Well now, we’re one gigantic step closer. And we wouldn’t be in this position had we not redefined our vision, what we needed to do to make it happen, and fought for every inch of progress along the way. We all strive to become some greater version of ourselves, but it’s the choices we make every day that make us who we are. At Lone Wolf, we choose to become great. Now, it’s all about getting there.